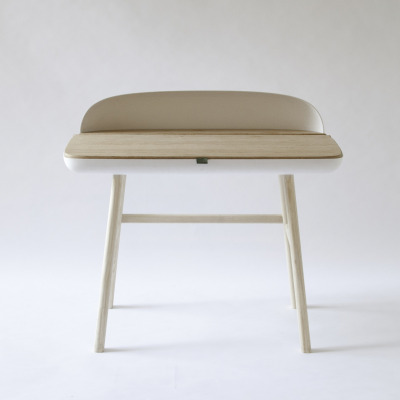 FLOAT is the symbiosis of minimalistic aesthetics and healthy sitting. Unlike big, expensive office chairs with complex mechanics to achieve flexibility, FLOAT provides a flexible, comfortable seat based on an innovative system with surprisingly low costs and less parts. 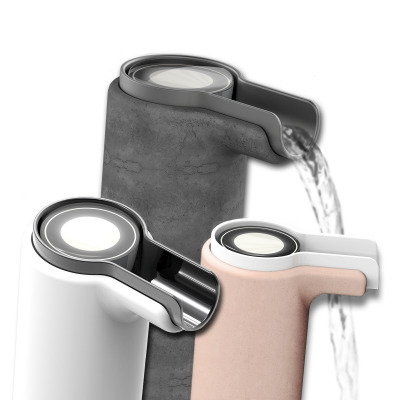 FLOAT is the result of the module "Sustainable Design Development" in the first semester of the master studies "Product Design" at HTW Dresden, Germany. 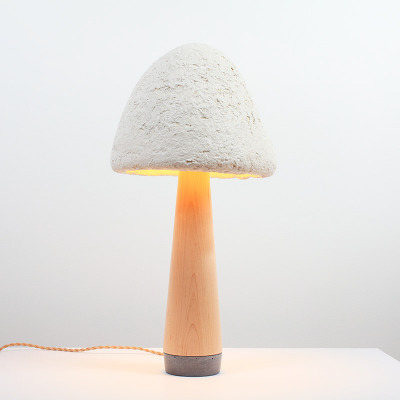 Starting with a fundamental investigation of the topic "Sitting naturally" we saw possibilities in focusing on the user as much as possible, in contrast to recent developments in design where it is more about trends and materials. In between high-tech office chairs and uncomfortable, clumsy stability balls there is room to move for a versatile, simple and affordable compromise between beautiful design and healthy sitting. FLOAT is the demonstrator of our idea of "Active Sitting" and is ment to be used at home and more private space. 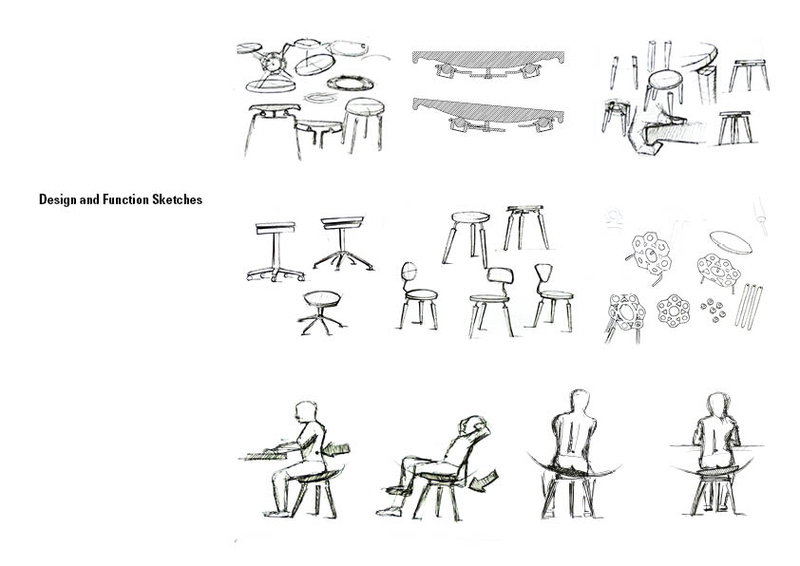 We think about using the mechanics for other purposes like public space and school chairs. 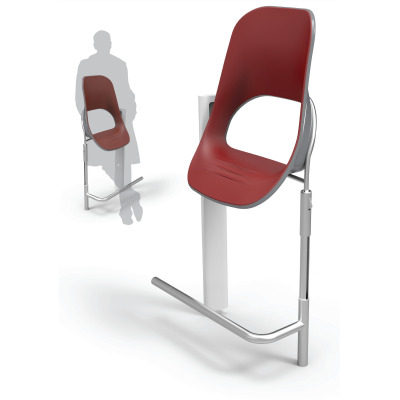 For example in school scenarios FLOAT could have a huge impact by providing a solution for the understandable problem to sit still during class while being not necessarily more expensive than regular school chairs, if you further develop the chair in terms of mass production and choice of materials. „Sitting naturally" – How do we interpret this ambiguous claim? This topic was the basis for the study module „Sustainable Design Development" in the first semester of the master course „Product Design" at HTW Dresden, Saxonia, Germany. For us, it started with a fundamental investigation into the culture of sitting. Why do humans sit? How long have they done so? And why do we spend too much time sitting these days? According to serious studies, people in contemporary society are sitting so much today that this fundamental posture does no longer support concentration or save resources. It leads instead to lifestyle diseases like back pain, fatigue and muscle tension, especially during long working hours in front of the computer. 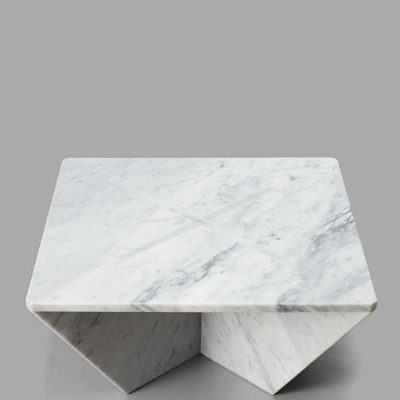 Therefore, we did not want to approach the subject „chair" once more from a classical „designer-perspective". In our opinion this perspective currently focuses too much on visual uniqueness and superficial trends. Our target was to concentrate on the user's needs instead. We placed our focus on the topic „Active Sitting". Following the claim „The next sitting position is always the best", everything revolves around the flexibility of a seat which allows reactivation of clamped muscles and nerves in the abdomen. 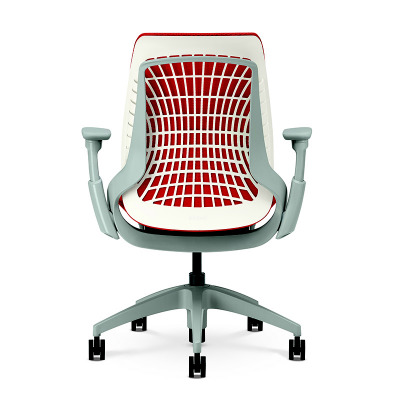 Especially office chairs have come up with different solutions for this desired movability, but they mostly rely on elaborate mechanics and often have shortcomings regarding aesthetics, sustainability and price. The analysis of different principles of active sitting showed many creative mechanics that are mostly based on two types of movement. On the one hand there is „centrifugal sitting" which describes a radial movement around an imaginary pivot below the seat, a principle known e.g. from stability balls. On the other hand you have „centripetal sitting", in which the pivot is located above the seat level towards the center of the body, a principle resembling a swing. Centripetal sitting is perceived as remarkably more comfortable, because the weight of your body naturally tends to the center. Therefore, your posture does not have to be stabilized by contracting leg muscles to prevent tipping over as it is necessary in a centrifugal system. 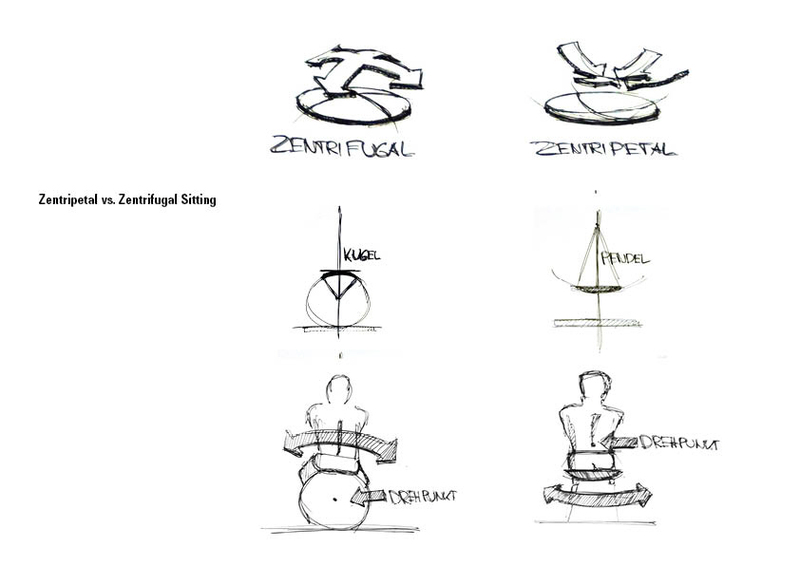 Based on this knowledge it was our aim to find a preferably simple, aesthetical and versatile system to create a centripetally moving seat. 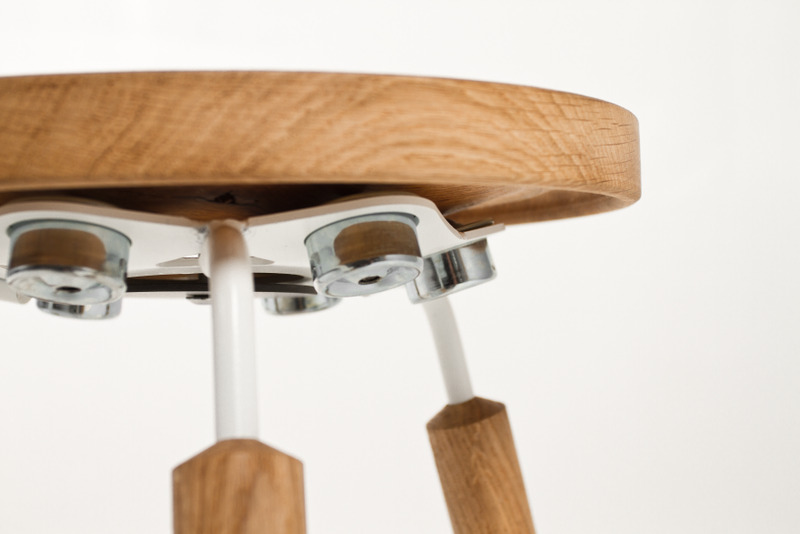 Central to this system is an innovative, ball bearing mounted seat made from oak wood, which allows a completely free, three-dimensional movement. The underside of the seat board is shaped spherically and lies on six ball rollers, which are often used for logistic purposes in warehouses or cargo planes. The ball rollers are held in place by a steel construction, which also joins the three legs made from oak wood. Additional elements help securing and limiting the movement. The seat board is shaped with an easy to grip rim and a circular indentation constricting the movement of the ball rollers in terms of deflection. 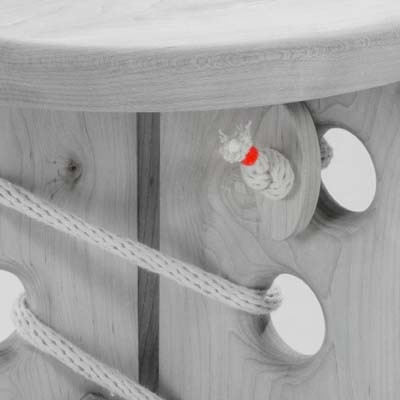 Furthermore a central „anchor" connects all moving parts and allows the user to lift the stool with only one hand. 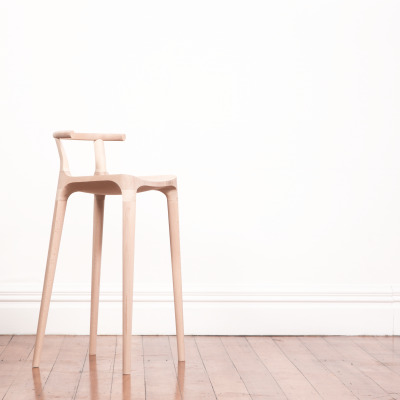 The seat is a CNC-milled 35mm board of oak wood. 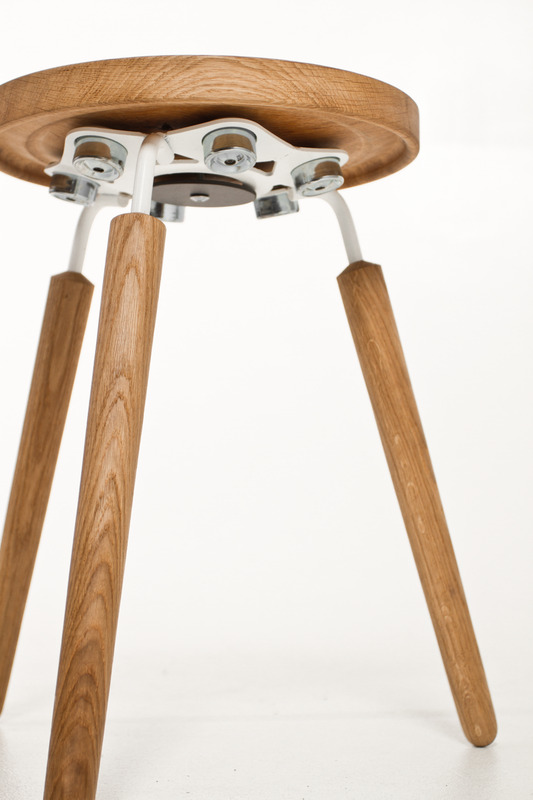 If necessary, it can also be CNC-turned due to its rotational symmetry. 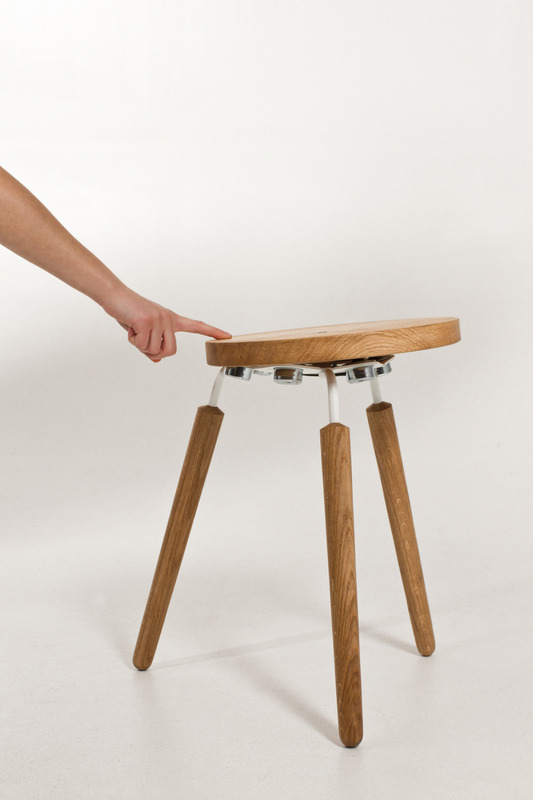 The butted legs are also made from oak wood. They are identical and can be turned easily too. The central element consists of 3mm sheet steel. The lasercut was optimised in CAD for a material saving design and for easy further processing. To create a matching form to the spherical shape of the seat the outer parts of the sheet metal are bent up and welded together. 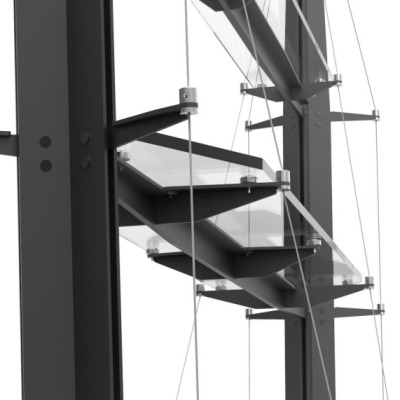 In the same process the metal parts of the legs – made from 12mm steel rods – are welded into the gaps provided. The completed steel part gets powder-coated. Next, the separately purchased ball rollers are inserted into the fitted holes. After that the seat board is loosely fixed by a screwed-in anchor element. 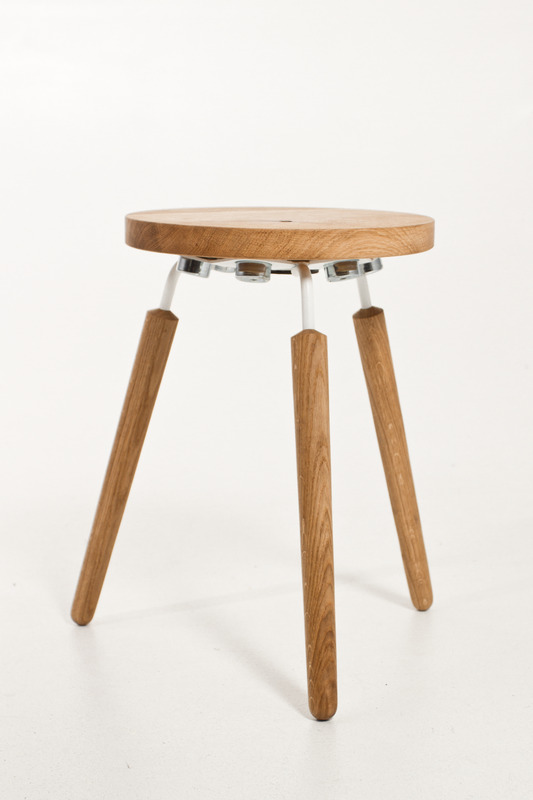 For further optimisation of the packaging the wooden legs can be separated and screwed in by the user after delivery. Any chair that limits the temptation to sit for too long, totally inactive, is worth some attention. 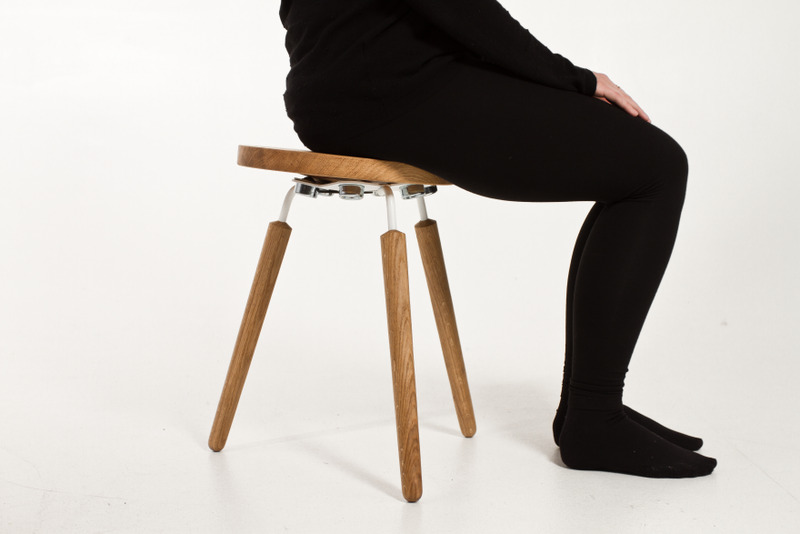 It would have been good to try actually sitting on a prototype, but we liked the idea of a seat that encourages movement... It’s now pretty much understood that sitting is bad for you as it promotes a bad static posture. 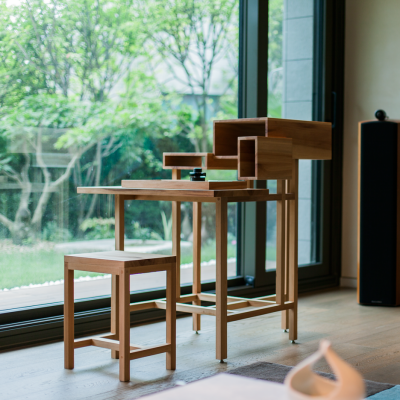 This concept delivers a dynamic platform in perhaps the most primary of all pieces of furniture. 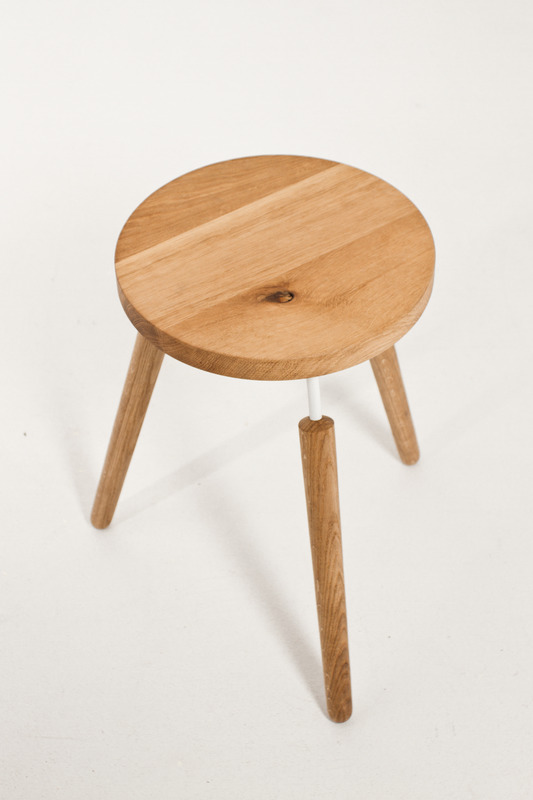 The stool.